Mean - to calculate the arithmetic mean of a list of numbers. 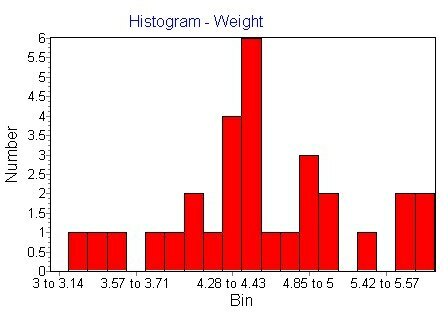 Median - to calculate the median of a list of numbers. Variance - to calculate the variance of a list of numbers. Standard deviation - to calculate the standard deviation of a list of numbers. Skewness - to calculate the skew of a list of numbers. Kurtosis - to calculate the kurtosis (degree of peak) of a list of numbers. 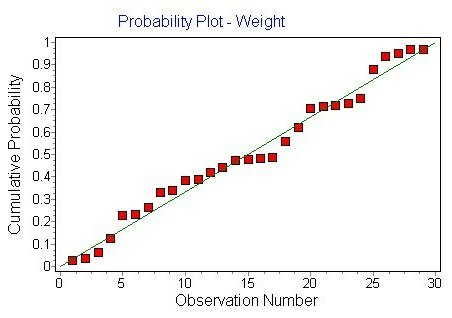 Probability Plot - to examine the cumulative frequency distribution and investigate normality. Box and Whisker - To create a box and whisker plot for a variable. Testing Normality - Use Chi, Shapiro-Wilk or Lilliefors tests to test if the variable is normally distributed. t-Test - to test the mean of the variable for significant difference from a defined value. z Test - to test the mean of the variable for significant difference from a defined value. Summary of Data - the data set statistics. show you exactly how the calculation is performed. the importance of your results!